MILTON KEYNES, England - Aug. 1, 2018 - PRLog -- Shimadzu's state-of-the-art technology and expertise in gas sampling has enabled it to develop a bespoke Nexis GC-2030 for Celtic Recycling in Newport, Gwent, allowing the company to introduce GC screening of reclaimed and recycled SF6 gas, a service that no other company in the UK is currently able to offer. At the same time, the new system increased the laboratory's capacity for the analysis of polychlorinated biphenyls (PCBs) in insulating oils. 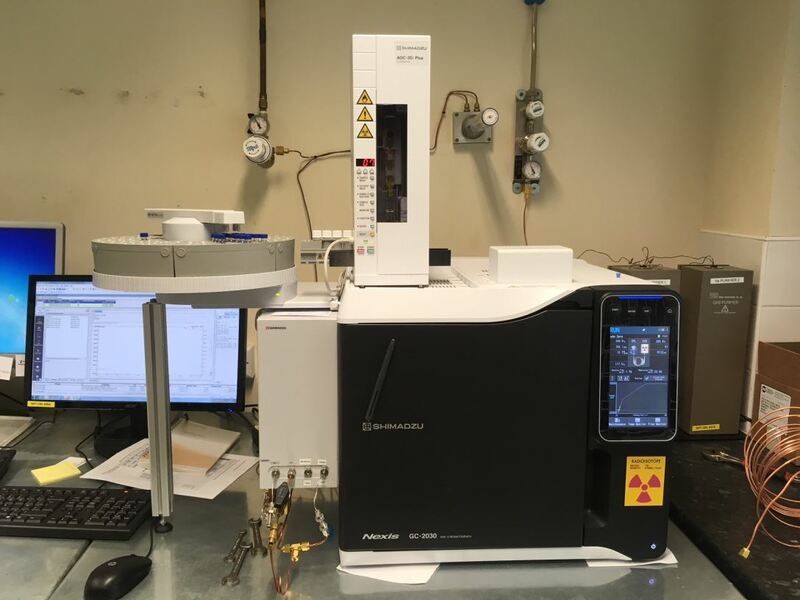 The custom-built, twin column Nexis GC-2030 includes electron capture (ECD) and barrier discharge ionization (BID) detectors, and provides additional flexibility by avoiding the need to switch out columns and change detectors, or to install separate instruments for each type of analysis. The patented BID offers significantly enhanced sensitivity compared to thermal conductivity and flame ionization detectors – trace components can be detected down to 0.1 ppm – and incorporates unique electrode-preserving plasma generation technology that ensures long-term stability. The inclusion of a BID also helps to futureproof the system, as this universal detector is suitable for many other applications should business needs change in the future. Celtic Recycling's laboratory chemist, Jennifer Rapp, commented: "I am really pleased with the new system and enjoy working with it. It is easy to use, and I can generate customized reports that look very professional with just a few clicks. Maintenance is quite straightforward and it is very easy to change columns; having a light inside the oven is a definite advantage – I hadn't realized how dark the oven is until now! The product specialists at Shimadzu have been great, providing training and helping me to set up the methods. It's good to know that I can rely on their support."